Australia are the most successful team in the history of the World Cup. They have won the tournament on five occasions, three more than India and West Indies, who have won it twice each. The Kangaroos have won four of the last five World Cups, while they have reached the final in five of the last six editions. The five-time World Champions were struggling in the last 12 months before they turned a corner against India. They won eight ODIs in a row against India and Pakistan which will give them a lot of confidence heading into the World Cup. The return of David Warner and Steve Smith after completing their ban meant that some quality players have missed out from Australia's World Cup squad. These players would consider themselves unlucky for not making it. So, let us look at a few players who were unlucky not to be picked by the selectors for the Australian World Cup squad. 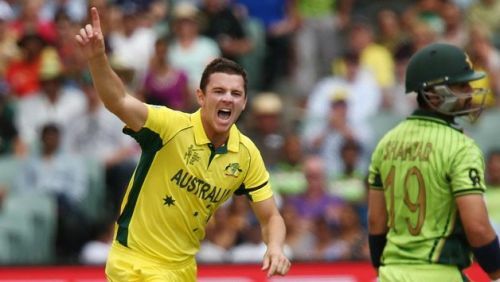 Josh Hazlewood had emerged as one of the most consistent bowlers for Australia over the last 12-18 months. He was set to lead Australia's pace attack in the summer in England. Sadly, that will not be the case as Hazlewood is yet to recover from an injury. He suffered a back stress fracture in the Test series against India in January. The right-arm fast bowler was working really hard to recover in order to make the cut for the World Cup. He has not been able to attain full fitness and selectors were not in a mood to take risks. The Australian selectors want Hazlewood to be fully fit for the Ashes so they opted to not pick him for the World Cup. This must be heartbreaking for the 28-year-old, who must have been hoping to represent his country on the cricket's biggest stage.